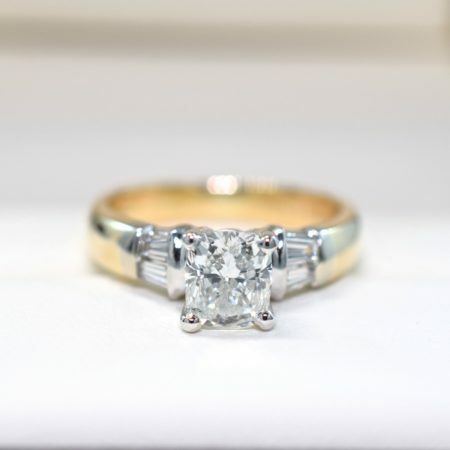 Here at Omori Diamonds we specialize in both custom jewellery design and in sourcing the finest diamond cuts imaginable. In todays article we will be discussing the most popular diamond cuts requested by our clients. From the elegant marquise cut to the sophisticated and beautiful cushion cut diamond, these different varieties allow our clients to choose a shape that truly reflects their tastes and personality. Read on to learn more about the diamond cuts most frequently seen in our new engagement rings and wedding bands. The oval is perhaps the most popular diamond cut, and for good reason. This diamond shape resembles the classic round brilliant diamond cut with a slight twist! As a favourite among many of the hollywood elite, oval diamonds are featured in many popular celebrity engagement rings with the most recent being Blake Lively’s engagement ring. Don’t be tricked however, into thinking this diamond cut requires a movie star budget, as oval diamonds are actually quite an economical choice as they offer more sparkle for their buck due to the fact that they appear quite large for a given carat weigh. To see more designs featuring the oval diamond cut, check out our blog on oval diamond engagement rings. 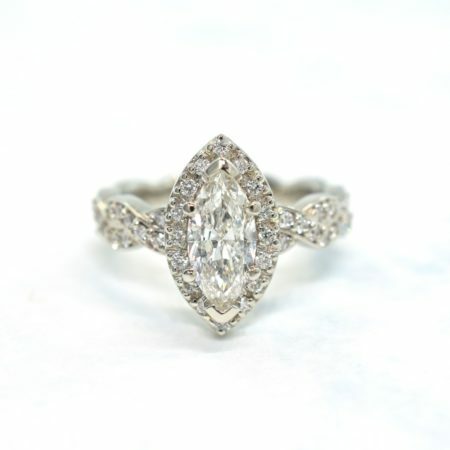 Dating back to the 1700’s marquise cut diamonds are one of the oldest and most elegant diamond cuts. As the longest diamond shape for a given carat weight, the marquise cut also provides a large amount of sparkle for a given carat weight. This also means that this diamond cut will have an elongating effect on the finger when worn on the hand and can appear larger than a diamond of the same weight. A perfect choice for engagement rings, marquise diamonds can look exceptional in both modern halo engagement rings as shown above, and in more traditional vintage engagement ring designs. If you are a fan of celebrity jewellery, be sure to check out these articles on the engagement rings worn by both Catherine Zeta Jones and Victoria Beckham. Princess cut diamonds are another exceptionally versatile diamond cut and as you can see, they can look beautiful both on their own, in a solitaire or pavé setting, as well as in a square halo design. 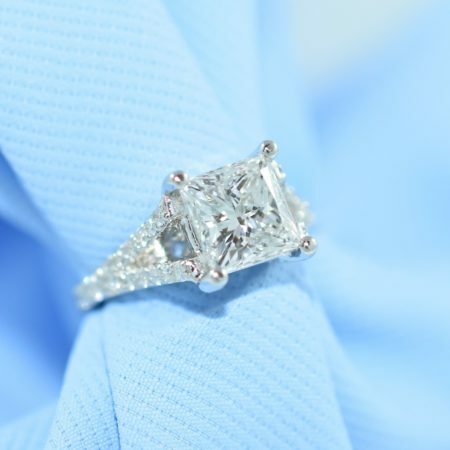 Much of the popularity of the princess cut is due to the fact that this diamond shape tends to show a large amount of sparkle because of how it is cut. This diamond cut is also slightly more economical than the round brilliant cut as it involves a much lower loss of diamond weight when it is being cut from the original rough diamond. 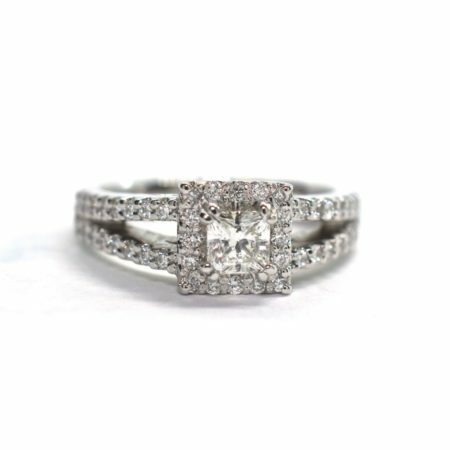 Learn more by checking out our blog on princess cut engagement rings. 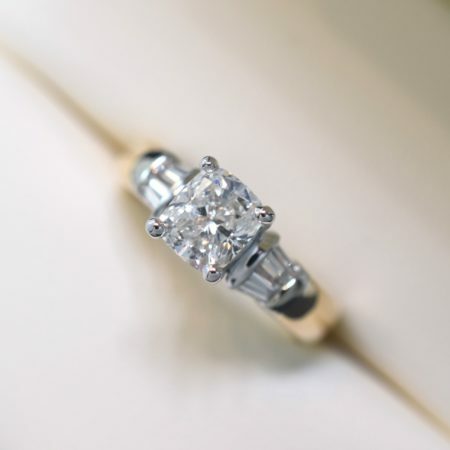 Last but not least we have one of our personal favourite diamond cuts, the cushion cut diamond. As another diamond shape that has stood the test of time, the cushion cut has been around for almost 200 years and has been featured in some of the most famous pieces of jewellery, with the most notable being the Hope Diamond. 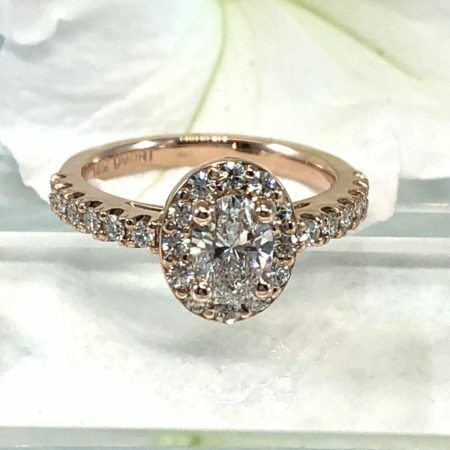 As the years have gone by, the cushion cut has been greatly improved upon by diamond cutters in order to maximize its brilliance, making it one of the brightest diamond cuts available! Like many of the diamonds shown above, the cushion cut is extremely versatile and can look great in both halo as well as solitaire designs or in the case of the ring above, set between diamonds of a different shape. 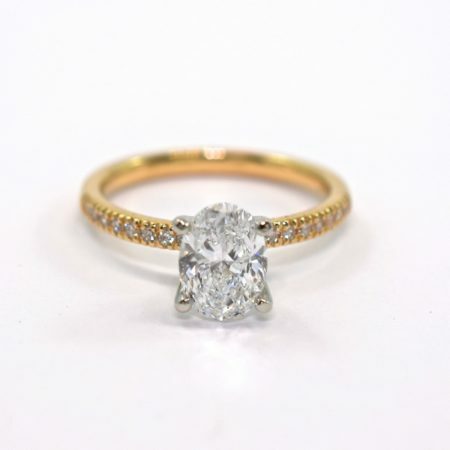 We have created many three stone diamond rings which feature the cushion as the centre stone or as the stones on either side of a round diamond. The options are literally endless! Also, be sure to check out our article all about cushion cut engagement rings! Thanks once again for checking out this latest article on the most popular diamond cuts right now. We hope we have provided you with some useful information and design inspiration for your next diamond ring design. In the mean time don’t forget to keep in touch by following us on facebook, twitter or instagram!